Dr. Stephen McAnaney has been providing gentle, patient-centered care for more than 20 years. He offers the very best treatment available in the United States, due to his extensive training. 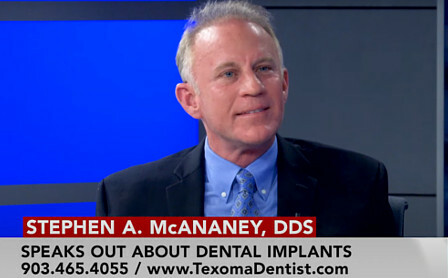 Dr. McAnaney is committed to offering advanced dental procedures and using leading technology. Our purpose is to provide exceptional dental services that improve our patients’ quality of life — physically, emotionally, and psychologically. To achieve this mission, Dr. Stephen McAnaney and our staff offer comprehensive dental health and wellness services for the entire family. 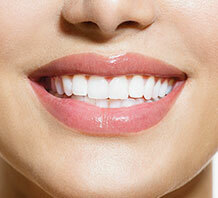 Come see how Dr. McAnaney creates the most beautiful smiles of a lifetime! Contact our Denison dental office to schedule an appointment today! 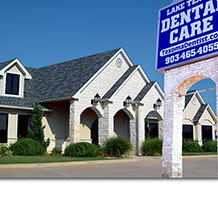 Lake Texoma Dental Care & Wellness has been proudly serving Denison, Sherman, Gainesville, Van Alstyne, and Bonham, Texas as well as the Ardmore and Durant areas of Southern Oklahoma, for more than 25 years! Come join our family of patients!